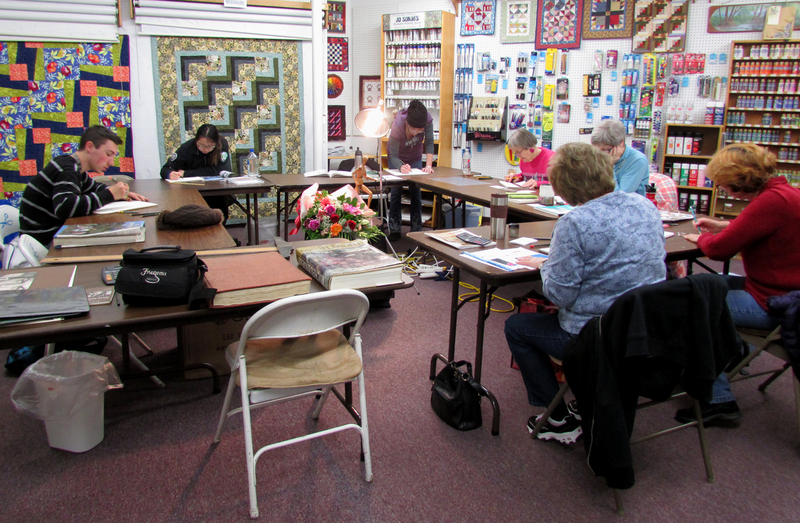 Last night students had the choice of either drawing the poseable figure, the fresh-cut flowers, or using the grid technique to enlarge their own personal photograph reference shot into an outlines sketch size suitable for drawing. I greatly enjoy seeing their progress and hearing of their artistic discoveries. The feedback they offer encourages me and gives me good input for future teaching. We play classical music as we draw and share insights, books and pictures from our favorite artists. When I was younger I have to admit I didn’t have a lot of interest in teaching. I was wrapped up in just wanting to execute the work myself. But as the years go by I have found greater and greater happiness in seeing the talent of others blossom. I like the role of being the cheerleader and the encourager. That aspect is definitely one of the strong points of growing older – sharing experience and seeing someone else’s eyes light up. It’s great fun, and I am feeling quite fortunate and blessed to have this new opportunity and chapter in life. Teaching requires so much patience! Sorry about the earlier comment. I accidentally hit submit on my iPhone!